Ever since we started blogging about money and personal finance, we’ve become known to our circle(s) of friends as the go-to couple when it comes to blogging, money, and personal finance. So that’s why we created this resource page. It lays out for you, our readers, the same products and services that we recommend to our friends. Hopefully they help you do money right. Enjoy! We make over $30,000 every month from the blog you’re reading right now. And we do it all from home! We’re convinced that Bluehost is the best webhosting company for new bloggers to get started. If you’d like to learn how to start your own blog, check out our article How to Start a Money-Making Blog: A Step-by-Step Guide. While blogging is a long-term game more like building a business, Swagbucks is our #1 way to earn extra money from home fast. Will you become a millionaire with Swagbucks? No. But can you make an extra $100 – $500 per month? Sure, if you’re diligent. In fact, there are so many ways to make money with Swagbucks, we wrote an blog article about them called the 7 Top Ways to Make Money with Swagbucks. There are a lot of spammy survey companies out there — believe me, I’ve tried pretty much every survey site on the Internet — but Survey Junkie is 100% legit, and it does not send you spammy junk emails. Their payouts are excellent, and they pay you in cash via PayPal. Its interface is also super smooth and intuitive (unlike the majority of survey company websites that look like they were built in 1997), and members are paid in cash via Paypal. Oh, and Survey Junkie also has an 8.9/10 rating on TrustPilot — the highest of any online survey company. Click here to start earning money with Survey Junkie. Ever since I got into a pretty bad car accident a few months ago, we’ve been a 1-car household. So I’ve been taking Uber every single weekday — and I’m loving it! I also save $1 on each ride — click here to find out here how I do it. The fact of the matter is that there are more riders on the road than ever. What this means for you, side hustler, is that driving is a great opportunity — and you can earn money on your schedule. So if partnering with Uber sounds like something that interests you, click here to sign up. AirBnb is a short-term vacation rental listing website, and we love it! Click our AirBnb $40 Coupon Code link if you would like $40 off your next AirBnb trip, compliments of the two of us. Whenever we travel, we use AirBnbs, the value is even greater since renting out a whole house on AirBnb comes out to a lot less money than booking hotel rooms for everybody. Bonus: sign up at Raise.com to get an additional 3% off AirBnb. Ebates is a no-brainer if you like saving money and do any online shopping whatsoever. All you do is go to Ebates, search for the name of the store you want to shop at, click the link to that store, and shop as usual. You will receive 1% – 40% cash back via Paypal depending on the store. Also, if you sign up through my Ebates $10 Sign-Up Bonus Link, you’ll receive a $10 sign-up bonus when you spend your first $25 through Ebates! What Ebates is to online shopping, Ibotta is to brick-and-mortar shopping. 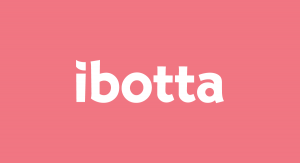 Ibotta is a simple, easy-to-use app for your phone that gives you cash back via Paypal on everyday items like apples, bananas, butter, cereal, eggs, ice cream, meat, milk, oranges, yogurt, and more. Also, if you sign up through my Ibotta $10 Sign-Up Bonus Link, you’ll receive a $10 sign-up bonus! Insurify is what we use to shop around for auto insurance rates. We do this every year when our policies expire. You answer a few questions (takes about 3 minutes, tops), and they compare rates for you at all the legitimate insurance companies:21st Century, Farmers, Liberty Mutual, Mercury, MetLife, Nationwide, Safeco, The General, Travelers, USAA, and more! And it’s 100% free! So if you have 3 minutes of time, head on over to Insurify to check your rates. If you currently don’t have car insurance, Insurify is a great place to get your rates fast. And even if you are currently insured, it doesn’t hurt to see if you could be getting a better deal elsewhere. LendingClub is a peer-to-peer lending platform. All that means is that instead of the bank lending money to borrowers, you and thousands of investors lend money to borrowers — your so-called “peers”. And instead of one person or institution making one very large loan to a borrower, peer-to-peer investors can invest as little as $25 into any one loan, thereby mitigating their risk significantly. Investors can also choose which particular loan or loans they’d like to invest in. They can see a potential borrower’s credit score, monthly income, job title, and many other characteristics before choosing to invest in that borrower’s loan. And LendingClub charges absolutely no commissions to its investors. You can get started with just $25 today by clicking on our LendingClub sign-up link. Personal Capital is a free personal finance software and app that tracks your income, expenses, assets, liabilities, and net worth in real time. You can see how you’re doing against your budget, how your investments are doing, and how much your net worth has grown in the past month all with a glance at your phone. To learn more about Personal Capital, check out our article 10 Reasons I Love This Personal Finance App. And yes, we’re talking the Personal Capital app in this article.